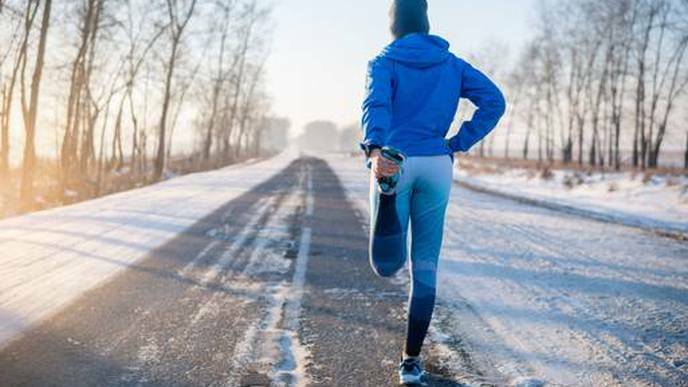 Joint pain can occur at any time of the year, but some people find it can particularly flare up when the weather is cold. 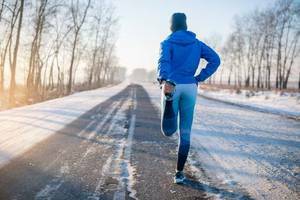 Some studies have suggested that this is because when temperatures dip, our body prioritizes supplying vital organs like the heart, which restricts how much blood it sends to our hands and feet. As a result, researchers have theorized that the tissues around the joints become less pliable, so joints can feel tighter and more uncomfortable than usual. Joint pain can occur for a range of reasons, of course, including osteoarthritis, which affects millions of Brits to some extent or other. While there's no magic recipe to take arthritis away, there is evidence that diet - and certain foods in particular - could play a role in helping fight inflammation and joint pain (alongside tailored professional advice from your doctor and medication if required). Fatty and oily fish - like salmon, trout, and mackerel - are rich in omega-3 fatty acids, which studies have found can help fight inflammation associated with arthritis pain. It's thought that marine fatty acids like eicosapentaenoic acid (EPA) and docosahexaenoic acid (DHA) can reduce the production of immune cells called leukocytes and enzymes known as cytokines, which are both important components in the body's inflammatory response. Experts generally recommend at least three to four ounces of fish, twice a week, to reap the joint-friendly benefits. As well as being a delicious base for soups, sauces or a tasty stir-fry, studies have shown that people who regularly eat foods from the allium family enjoy fewer signs of osteoarthritis, the most common chronic joint condition in the UK. Garlic, like onions and leeks, contains diallyl disulfide - an anti-inflammatory compound that can limit the effects of cytokines. Top tip: Plump for fresh garlic, as the preservatives in bottled garlic may affect some of its benefits. As well as being used to soothe an upset stomach, a daily slice of fresh ginger may also help ease the symptoms of arthritis. One 2001 study assessed how 261 patients with osteoarthritis of the knee responded to taking a capsule of ginger extract, twice a day. After six weeks, 63% reported improvements in their discomfort levels. This aromatic spice can be used to add zest to cooking, enjoyed fresh or brewed in tea. If you're not fond of the taste, you can find it in supplement form too. Walnuts are one of the most versatile nuts going - you can sprinkle them on salads, toss them into a noodle dish, or simply enjoy them as a mid-morning snack. These hardy nuts are great for joints as they're high in alpha-linoleic acid (ALA), a type of anti-inflammatory omega-3 fatty acid which plays a role in keeping inflammation under control. Who can resist a bowl of berries with a dollop of yogurt in the morning? As well as being naturally low in calories, this simple breakfast dish may also have some powerful benefits for joints - as well as your health in general. Berries such as strawberries, raspberries, and blueberries are loaded with antioxidants, which researchers have found can protect your body against inflammation and free radicals-unstable molecules that can damage cells and organs - and may be associated with lower levels of inflammation. Take advantage of seasonal fresh berries (although you can also buy them frozen), and if you have a garden, why not give growing your own a go? Sign up for the Rheumatology Academy newsletters. No thanks. Take me back to Rheumatology Academy. You are now leaving Rheumatology Academy and going to a site run by another organization. Press cancel to remain on Rheumatology Academy. Press the link below or the continue button to keep going.